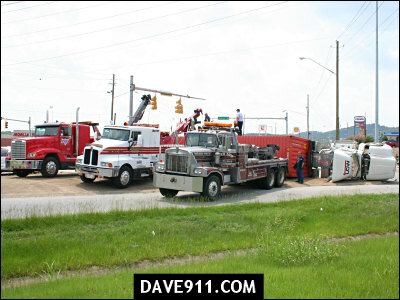 Earlier today, Birmingham Fire & Rescue responded to an MVA involving an overturned 18 wheeler at the intersection of Montevallo Road and Crestwood Blvd. 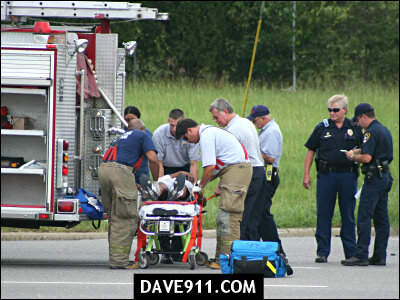 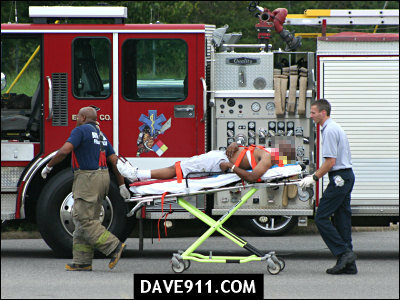 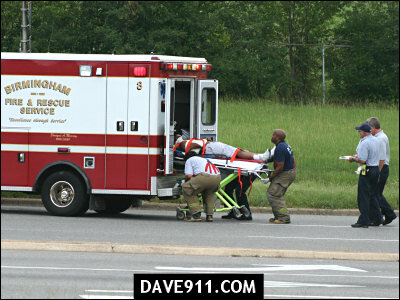 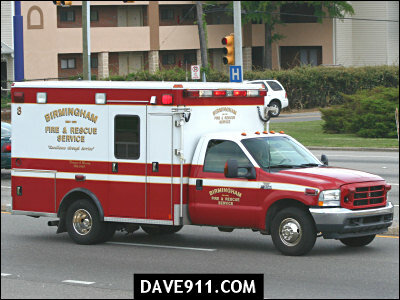 One patient was transported by Rescue 8. 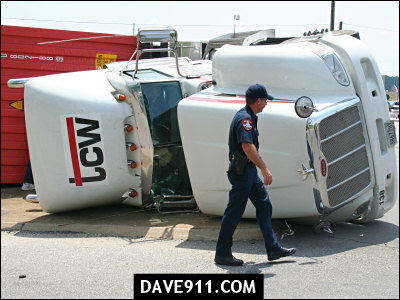 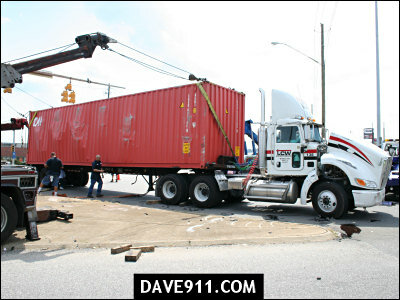 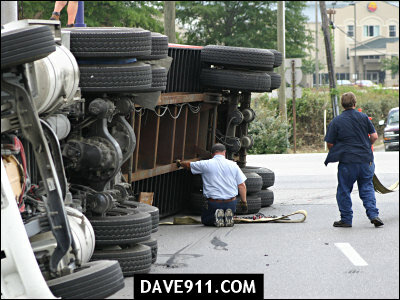 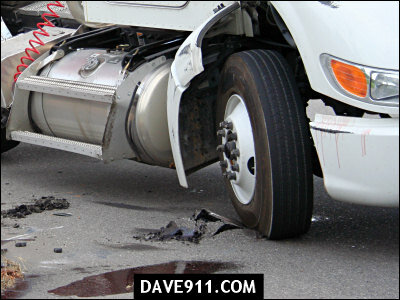 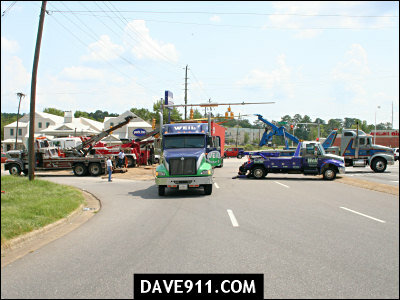 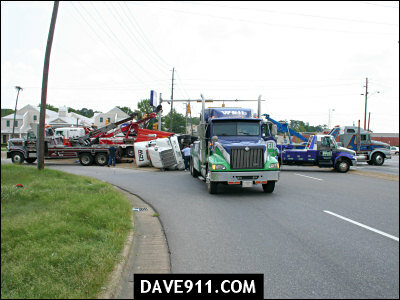 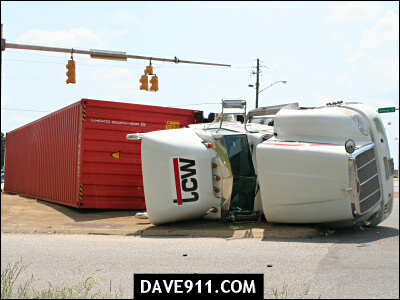 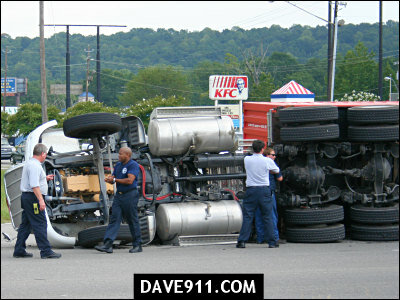 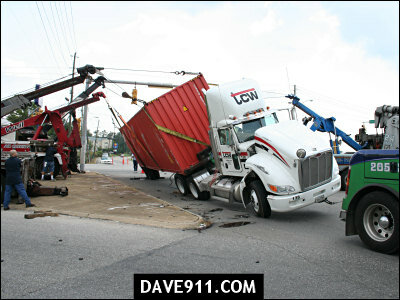 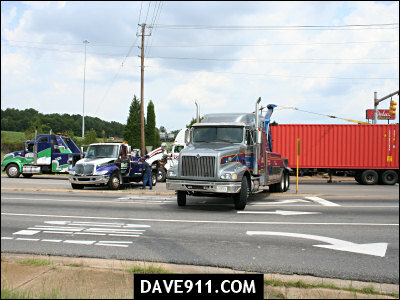 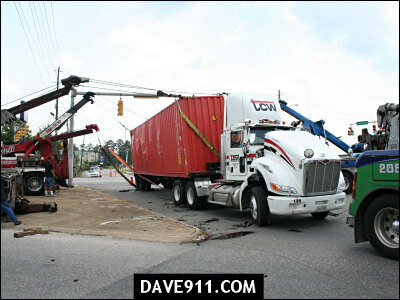 Engine 26 remained on the scene as 5 - 30 Ton wreckers and 1 regular wrecker worked to upright the big rig. 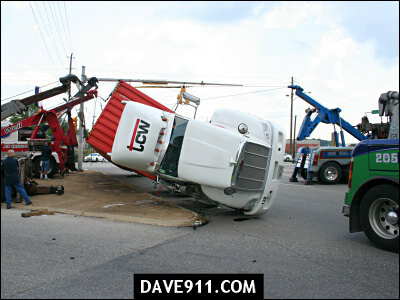 After almost two hours, the truck was up and ready to be towed away. 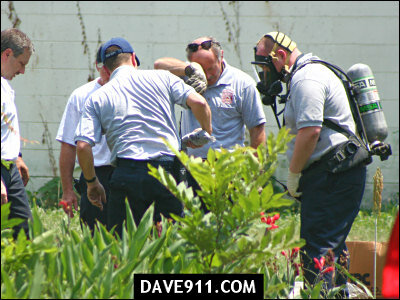 Around noon today, Irondale Firefighters responded to a diesel fuel spill in the 100 blk of 21st Street North. 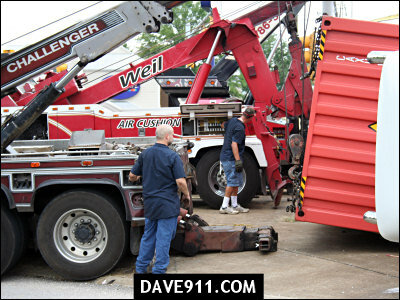 A fuel truck was filling the diesel fuel tanks at the city shop when one of the tanks overflowed, spilling 50-100 gallons of diesel fuel. 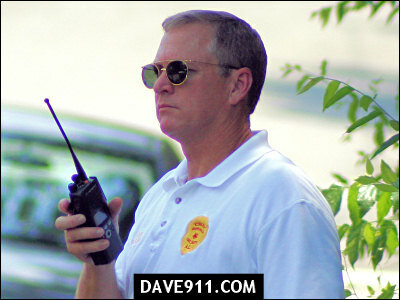 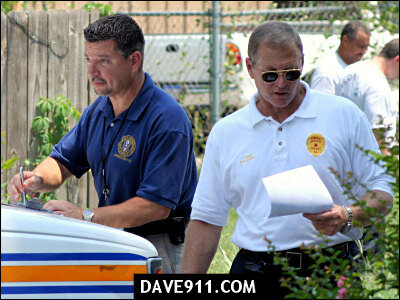 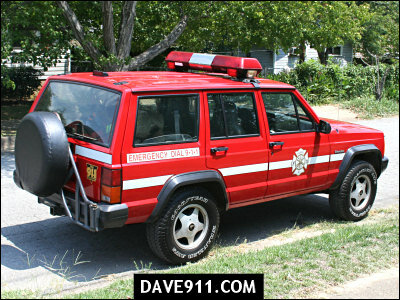 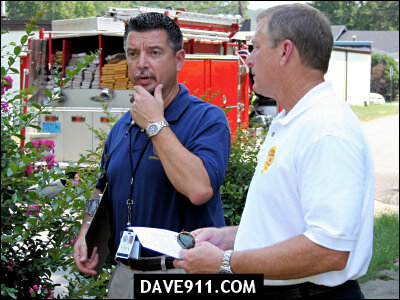 Chief Davis commanded the operation to try and stop the fuel from making it to the local streams. 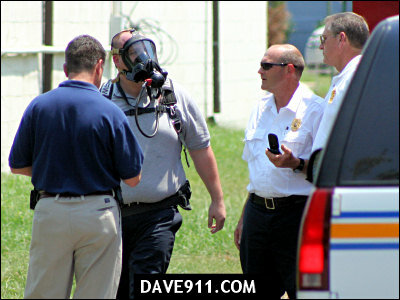 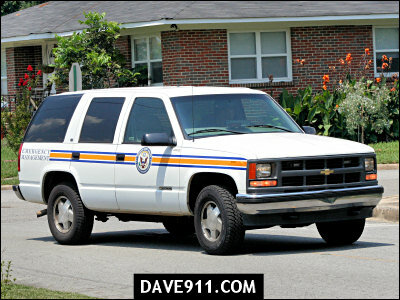 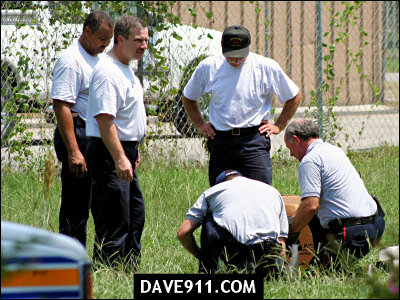 Working in over 100 degree heat, Irondale Firefighters moved quickly through several blocks to stop the spread. 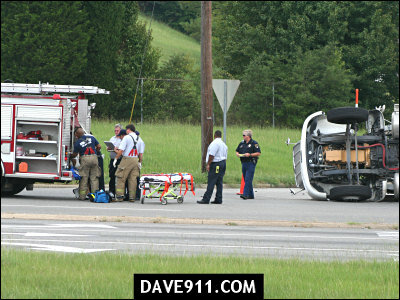 Jefferson County EMA and the Salvation Army responded to the scene, also. 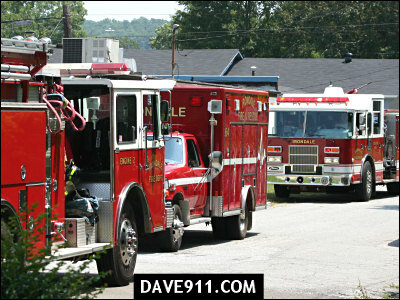 Great work by Irondale Fire and Jefferson County EMA prevented a huge ecological mess. 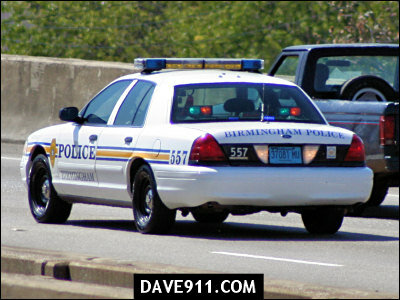 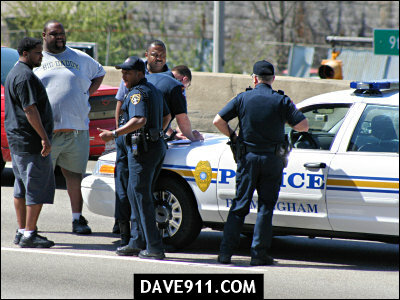 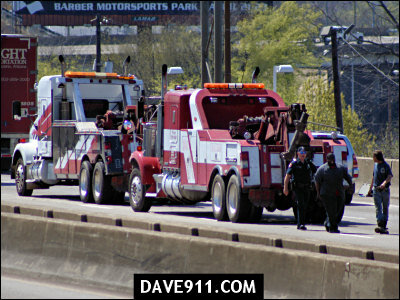 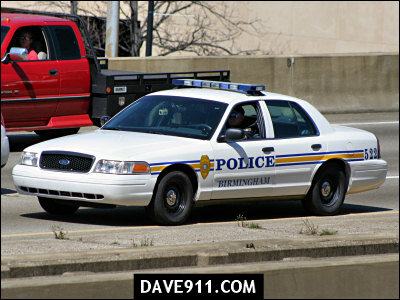 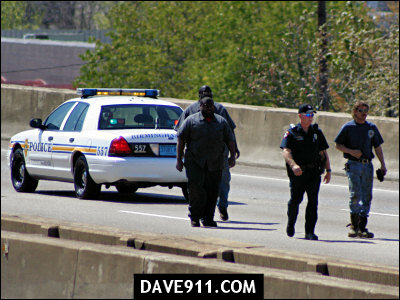 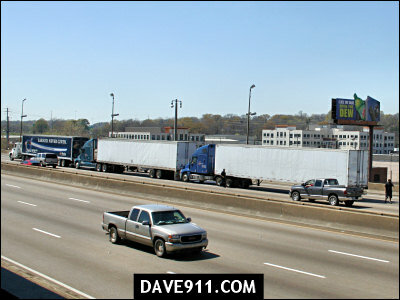 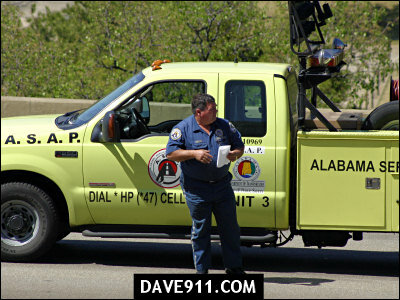 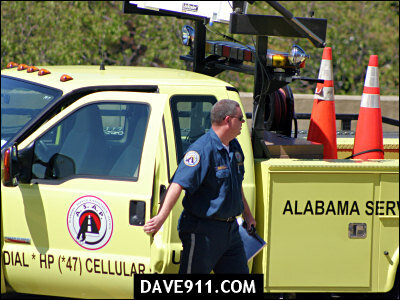 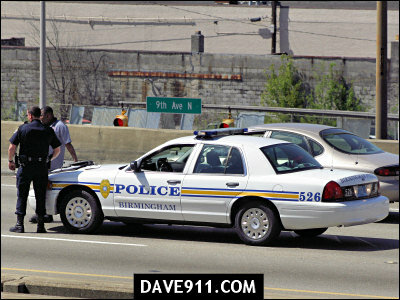 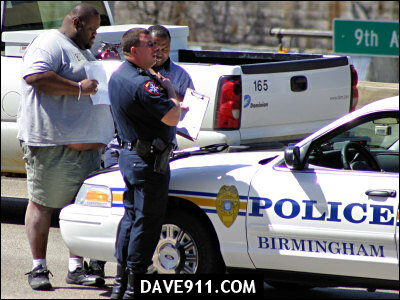 The following pictures are of Birmingham Police Officers and ASAP working an MVA involving three 18 wheelers on I-59/20 in front of the Civic Center.